Kata Digital reaunched the newest flagship smartphone that carries 5 HD display with amazing 13-megapixel rear facing camera-the Kata i3. The I3 equipped with 1.3GHz Quad-core and runs on the operating system of Mali 400 GPU. It also sports 1GB RAM paired with 16 GB internal memory which expandable up to 32GB, Dual sim function, WIFI capabilities and 2, 250 mAh battery. If you love taking pictures, the new mobile phone features 13-megapixel rear facing camera with autofocus and LED flash paired with 5- megapixel front facing camera. The exterior part of the phone is quite solidly built which is really looking good. It’s also pretty comfortable to hold with its sharp and angular edges. You can now avail the Kata i3 for Php 8,499. Meanwhile, the re-launching of the Kata i3 in SM North EDSA was also the grand finals of first Kata Singing Idol. The three hopefuls who reached the final round were Anna Marie Boctoy, Crystal Lagman and Stephnie Lee. Crystal Lagman hailed the grand winner of this singing competition. She went home with Kata i3 and cool prizes while two runner ups got Kata Venus. 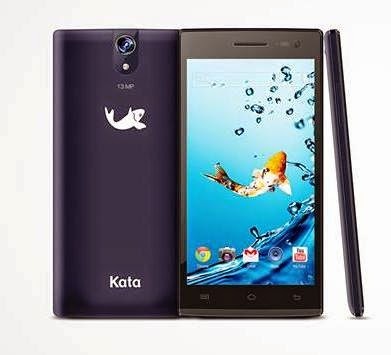 Aside from the re-launched of Kata i3, Kata unveiled its latest flagship product, the Kata M1. This Android phablet sports a 5.7” True HD display with 1.5GHz quad core processor and a whopping 2GB RAM. For more details, blog, unbox and review about Kata i3, check out Kata website and their Facebook Page. Visit the nearest Kata store, kiosk and accredited dealers for other inquiries..